The sixth Olympic Games were due to be held in Berlin in 1916. As the war raged on across the globe, an event that traditionally promoted peace and tolerance looked impossible. The majority of the Olympic athletes were from an involved nation, and many prominent members of the International Olympic Committee were also politically motivated, ensuring significant opposition to Germany’s role. Britain’s Thomas A. Cook demanded a renege on the endorsement of Berlin, and America’s Sullivan suggested that the Games be held in the USA. Meanwhile, Germany refused to withdraw as host from the Games, believing that another nation taking their place as host would be a snub. Head of the Olympic Committee, Pierre de Coubertin remained neutral to the Committee’s rifts, understanding that any decisions made in either parties favor could cause damage to the spirit of neutrality of the Games and the IOC’s remit to be apolitical. He therefore maintained that, as in the ancient Games, an Olympiad could be skipped, and the IOC would begin planning the 1920 Games. 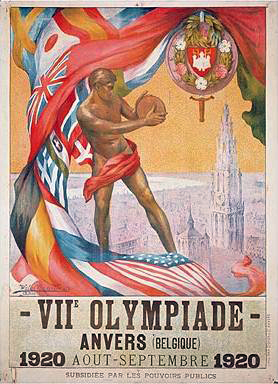 The 1920 Games were awarded to Antwerp in Belgium to honor the people of that city after the suffering they endured during World War I. Although on the side of the Allies, being positioned right on the Western Front between France and Germany, it seemed a fitting choice. In the Paris Peace Conference the outbreak of the war was blamed on Germany and other Central Powers allies. These nations, which by now had new governments, were not invited to participate in the 1920 Summer Olympics. While all other banned nations were invited again for the 1924 Summer Olympics, held for the second time in Pierre de Coubertin‘s home town of Paris, the ban on Germany was not lifted until 1925. Since 1920 the IOC’s member states have expanded from 29 to 204, so it is no surprise that this has also seen a growth in representation of countries at war or with questionable human rights records. Yet only on a few occasions have member states not been invited to participate. In 1948 Germany and Japan were not invited to London because of their war-time roles, and the 1960 Rome Games marked the end of South African participation for 32 years due to its racist apartheid regime. Instead member nations boycott the games themselves in response to political issues, the most prominent being in 1980 when sixty-five nations refused to compete at the Moscow Olympics because of the Soviet invasion of Afghanistan. Whilst the IOC’s mission to ‘promote peace’ and ‘ban violence’ has lead to it to take a stance on certain occasions it claims to be a largely apolitical organization. But not following the First World War. What were the conditions in 1920 that lead to the exclusion of the Central Powers (despite their new governments) when in 2012 countries are allowed to compete who promote war and violence? Can sport ever really be apolitical? 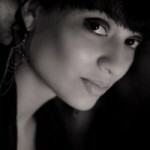 This entry was posted in Aftermath and tagged 320 (Political science), 790 (Recreational & performing arts), 796 (Athletic & outdoor sports & games), Blogs, GV (Recreation. Leisure), J (Political Science). Bookmark the permalink.